in ways you could never have beforehand imagined. And He often orchestrates our steps and moves us in directions that will forever change us for the better. Several months ago, I was invited to attend the then-upcoming Truth For A New Generation conference to volunteer as a member of Concerned Women For America's Prayer Team at the event. and I saw no possibility of ever being able to do what I was being asked. However, I prayed about it and told the Lord I was willing to go if He would remove the obstacles and work out a way. He did make a way, and my little family and I headed for the conference. That weekend literally changed our lives. One of those changes came about through our personally meeting many of the Concerned Women for America ladies, enjoying sweet fellowship with them, and through this, God giving me much-needed answers as to whether or not He wanted me to proceed in becoming more involved with CWA. And another of those changes came through the wonderful privilege we had of listening to several of the key note speakers while there. Today, God has opened the amazing opportunity for me to introduce you to one of those speakers! she was beyond gracious and granted our request! Cheryl: God has placed you on the front lines of ministry in our time. He has given you a platform of your own to stand for truth and what is right. How does the battle your uncle, Dr. Martin Luther King, Jr., fought in his generation compare with the cultural wars you are fighting today? Dr. Alveda King: Well, as we look at cultural wars throughout the ages, we can go back to the 20th century when my father, Reverend A.D. King, Martin Luther’s brother, Martin Luther King, Jr., I also marched during those times, but all the way through the history of humanity, starting with the fall of man in the Garden of Eden, there has been strife and contention. And the most successful campaigns against those have been when people called on the name of the Lord and depended on the Lord and set aside strife, envy, and offense in all of that. So, that is what I have worked to do myself, and that’s what I’m trying to do now. Cheryl: Evil is waging war upon God’s church, in these last days. Sometimes, there are so many battles being waged at one time, it is hard to keep up the fight, and God calls us to choose specific battles to fight, on an individual basis. What would you say are the most pressing issues God has placed upon your heart, personally, and what is the main burden of your unique ministry? Dr. Alveda King: Well, the most pressing issue now as an evangelist is to let people know about Jesus Christ and Him crucified and John 3:16. That can touch on so many other things...that touches on my pro-life work, my work for natural marriage and family, eradicating evil, even down to ISIS and that battle. So, I think that when I look at it as in a perspective of prayer and evangelizing, then everything else can be included in that. Cheryl: How has growing up in the shadow of your uncle, Dr. Martin Luther King, Jr., shaped and molded your own ministry? Dr. Alveda King: Well, I came up under the shadow of God’s wings according to Psalms 91, and so, just being covered by God as the niece of Martin Luther King, Jr., and the daughter of his brother, Reverend A.D. King. It’s just wonderful being in this family and having been brought up by people who love the Lord. Cheryl: You are the Director of African-American Outreach for Priests for Life. Can you tell us more about this ministry? Dr. Alveda King: Well, Priests for Life is a Catholic ministry. I’m a non-denominational Christian, but I came in to work with African-American Outreach for Priests for Life over 10 years ago now. And so it’s been a beautiful experience informing the public about the harms of abortion and related products to that (abortion) that are harmful, chemicals and devices for birth control and all of that, how its genocide, the Silent No More Awareness Campaign, etc. So, I have been a part of Priests for Life for 10 years now, over 10 years actually, and they’ve just been a tremendous blessing to me. Cheryl: Can you share any childhood memories that you have with your father, as a minister, and your uncle (Dr. Martin Luther King, Jr.)? Is there anything you could share with us that we could share with our readers...just some special memories that you might have? Dr. Alveda King: I was blessed to go to church and hear them all preach. Daddy King, my grandfather, who encouraged my mother not to abort me in 1950, not to have a D&C, abortion was illegal, but a D&C, and that he had seen me in a dream three years before I was born. He described me. I was born looking just like that. My Mom and Dad had, during their marriage, five of us. I was their firstborn. Daddy King used to preach about faith, hope, and love, and the “least of these”, helping others, caring more about others than ourselves. My father, A.D. King, preached about the miracles of Jesus, and Jesus became very real to me as a girl. Listening to my Daddy’s sermons, and then my uncle’s sermons on the Good Samaritan, for example, and The Love of God. All of their sermons impacted my life and helped to shape and mold my spirituality. And it is true...train up a child in the way he or she should go, and when the child grows up, they won’t depart, or in my case, return to it. So, I never really departed from the truth upon which I was raised. Cheryl: I am a Prayer Action Leader for Concerned Women for America, and as you well know, we really love to pray and get under the burden for those of you who are out there on the front lines. How can we pray for you, specifically, and your ministry? Are there needs or burdens upon your heart in this current season of your life that you would specifically like us to pray for? Dr. Alveda King: My heart longs that people will abandon and come away from strife, offense, and arguing and division and come together as one as a repentant world, as a repentant nation, a repentant community, a repentant family, a repentant individual, and ask God first to forgive us, then help us to learn to forgive others, and that we, in love, can move forward together. That is a sincere desire of my heart. Cheryl: Amen! Thank you, dear sister! 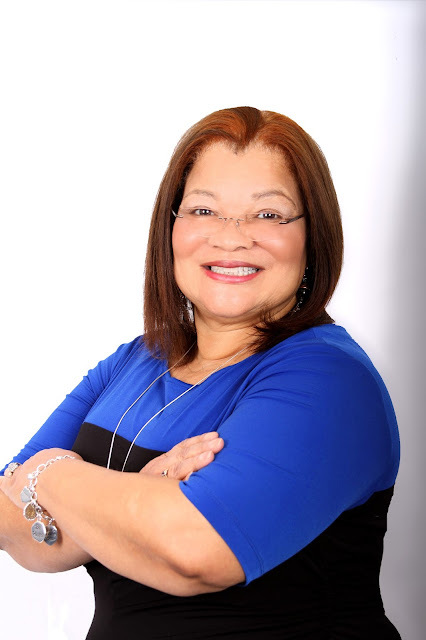 Dr. Alveda King: Bless you, my sister in Christ. Thank you, and God bless! What a powerful, dear, precious woman of God! I felt so humbled and so enjoyed my time with her on the phone. It was an honor and a Divinely-orchestrated gift from our dear Lord! we were privileged to enjoy a sweet season of prayer together! you can do so by clicking King Rules to be re-directed. To learn more about Priests for Life and their pro-life work, click here. the Godly legacy of her amazing family. what a fortune you've had knowing such a precious woman so near to Lord ! Thank you for sharing this important moment and experience you and your family lived and to share your and her words, ... I think that , with your strong and so alive Faith you would be such a 'delightful' couple ! Bless you, sweet Dany! Your dear words and encouragement are indeed precious to me and lift my spirits so many, many times! I trust all is well with you, and I send you much love and many hugs back across the many miles! Staying in a repentant heart to develop peace...wonderful. Thank you for sharing Dr. King with us. Hi Cheryl and Dr.King! It's no small thing to have a life changed by wonderful, faith-filled speakers. And you will remember that for the rest of your life. What a God-blessing! Yes, I will always remember, Ceil. No doubt about that. God always knows who and what we need to keep us encouraged to press the battle on. Listening to someone like Dr. King, then having the privilege to speak with her and pray with her, was such a dear blessing to me. She is definitely my inspiration partner! God bless you for stopping by here...your visits are always uplifting! What a fascinating woman, and a very well-done interview! I so admire her dedication to being on the front lines! The Lord is calling His faithful to fight like they've never fought before - for the forces of evil in this world are *stepping up their game*. May we pray for each other, and for women like Dr. King - and along with courage and strength, may we pray to NEVER forget that victory has already been won!! Thank you ever so much, dear friend, for your visit, your encouragement, and your sweet words! You are so right...evil forces are stepping up their game, so we must pray diligently and be on guard, wearing the whole armor of God at all times. I love that old song, "My Soul, Be On Thy Guard". If ever the words to that old hymn were needful, it is now. I hope all is well in your corner...praying for you often and sending you much love across the miles!! I loved this interview! WOW! Amazing! So happy you did this! Thank you! I loved it & will share it! Can you imagine being under the teaching of her grandfather, uncle and dad? I so agree with her that strife and offense needs to end! This was so interesting, thank you for inner viewing her and for your work with CWA! This interview blessed me, and I could tell she is a "real" woman of God. Her heritage is rich and she walks with Jesus. Thank you for sharing with us here at Tell me a Story. Yes, dear Hazel, she truly is. I am so thankful you were blessed, and may the Lord grant you and your family a Happy Thanksgiving! Thanks for stopping and reading!! I enjoyed reading this interview. What an inspiring woman, what a privilege for you to have heard her speak and later share a prayer time with her. Yes, thank the dear Lord for this amazing opportunity! So thankful for your visit, Diana, and I hope you come back often. :) Have a wonderful Thanksgiving! Cheryl this was such a treat to get to learn such an outstanding woman of God who has rich spiritual legacy. Yes, indeed, it was a true treat to get to conduct it and publish it here. Such a dear blessing indeed! So very thankful for your visit, sweet sister, and may God bless you and yours with a wonderful Thanksgiving Day!! It truly is an amazing legacy...I think of all of their sacrifices of the past and how they suffered for the causes they held so close to their hearts. And now to have dear Dr. Alveda carrying on the heartbeat of their ministry is truly a blessing for our time. Surely she was placed here for such a time as this. So thankful for your visit and kind words, Rachael. God bless you, and come back anytime! Thank you for introducing me to this fascinating woman, Cheryl! What a blessing for you to have an opportunity to interview her personally. I'm so glad to learn more about this wonderful family. Awesome interview! I share Dr King's desire and prayer. What a wonderful heart. This interview really touched my heart. Blessings to the both of you and your ministries. Thank you ever so much, my brother. She is such a dear blessing and inspiration, and your words of encouragement to both of us is very uplifting. I hope you and your family had a wonderful Thanksgiving. God bless you abundantly! Thanks for linking up at Mondays @ Soul Survival! Hope you are having a blessed Thanksgiving week-end. Dear Cheryl, Thank you for your Inner Views. What a great name! Praise God for your ministry that reminds me of the Psalms that say that the Women who remain at home are a great Host or Army, and that they also publish the Good News! Girl Power from the Holy Spirit's Power! Dear Ana Maria! I am SO sorry I am only now responding to your precious comment! I don't know how I overlooked or missed it. I got your voice mail, also, and will call you back as soon as I can. Love you, sweet sister! !